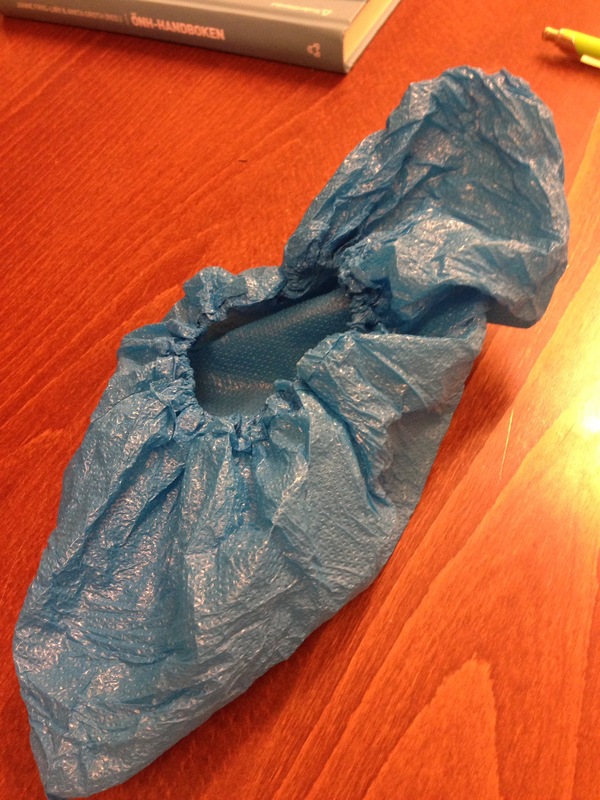 In Sweden there are often these little blue plastic booties at the doctor’s office. They’re intended to keep the floor clean and many Swedes will put them on even if the weather is fine, if you just put them out in the waiting room. Shoe candy, so to speak. Swedish design at its best? They may promote cleanliness, but if you forget to take them off and go outdoors in the winter, they’re potentially deadly. Once when Nurse Angry’s mother was visiting, we saw two people walking around at a mall who had forgotten to remove their protective footwear. In that environment they weren’t dangerous, just funny. It’s also super cute to see a waiting room full of people all wearing the same booties. They’re a kind of cheap and cheery equalizer. But here’s the thing. Very often you put them on and you still sit in the waiting room in your personal godawful mess of a filthy puddle, which you then track into the examining room, then on to the lab, back into the examining room… etc. Nurse Angry has often wondered why. Could it be that they try to recycle already used ones? 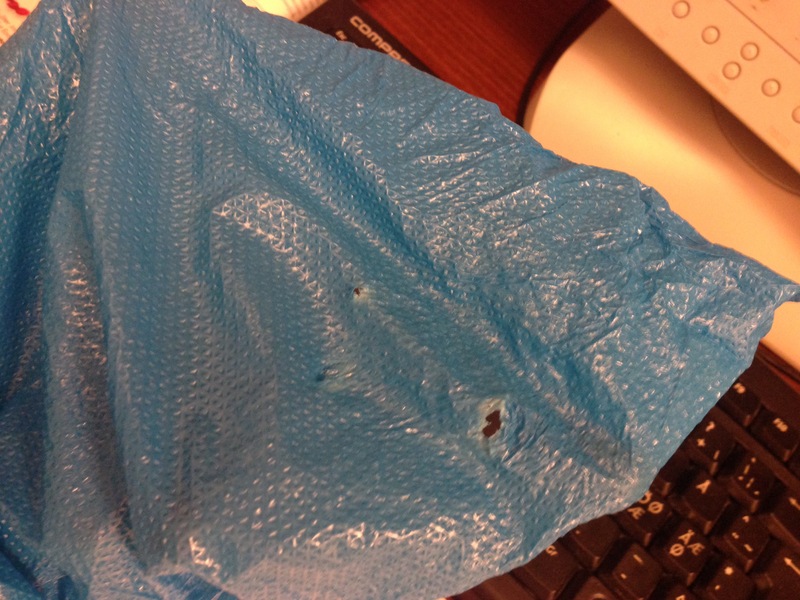 Little plastic bags should just do their job and keep the water and dirt on the inside, right? Wrong. Because this is what Nurse Angry found when she unpacked some brand spanking new ones. Mystery solved. And she avoided writing about the election.